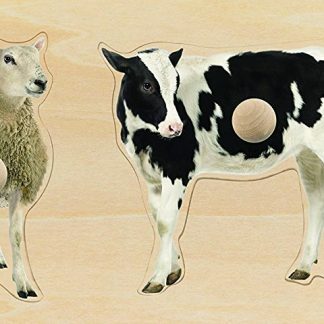 Giant Knob Puzzle Farm Animals introduces toddlers to puzzle play. Simple, realistic pictures printed directly on the wood. 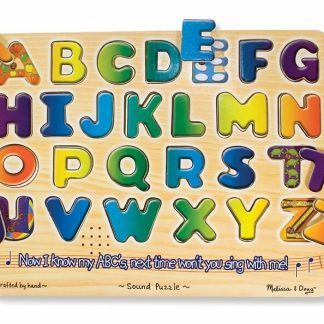 Large, thick, wooden pieces, and easy to grasp knobs make removing and placing pieces easier. Helpful to beginners and children with special needs. 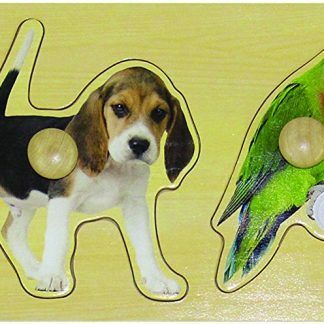 Puzzle measures 19 1/2″L x 6 1/2″W x 3/8″H with 1 1/4″D knob. 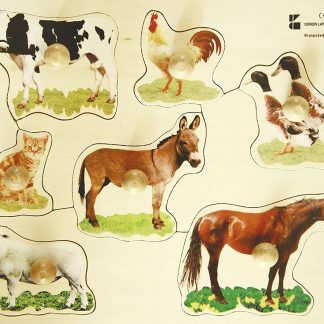 While playing with Giant Knob Puzzle Farm Animals, children learn basic skills of daily living. And lay the foundation for future learning. Social skills develop when parent and child work together. They communicate, cooperate, take turns. The adult names the animals. Shares information about each one, such as where the animal lives. 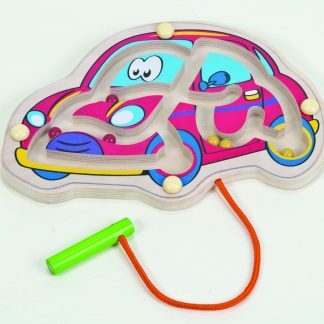 This builds cognitive and language skills. Further play and learning by introducing farm animal figures. Start with ones from the puzzle: horse, sheep, cow, rooster. Consider groupings, such as ewe and ram, Holstein cow and calf, or hen and rooster. 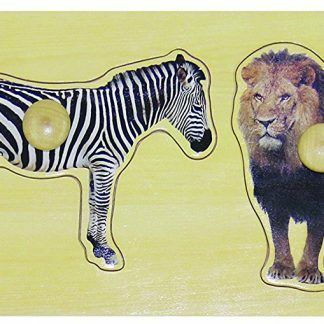 Extend pretend play and storytelling opportunities with additional animal figures, both wild and farm.